for Kids and Families who Love to Rock! 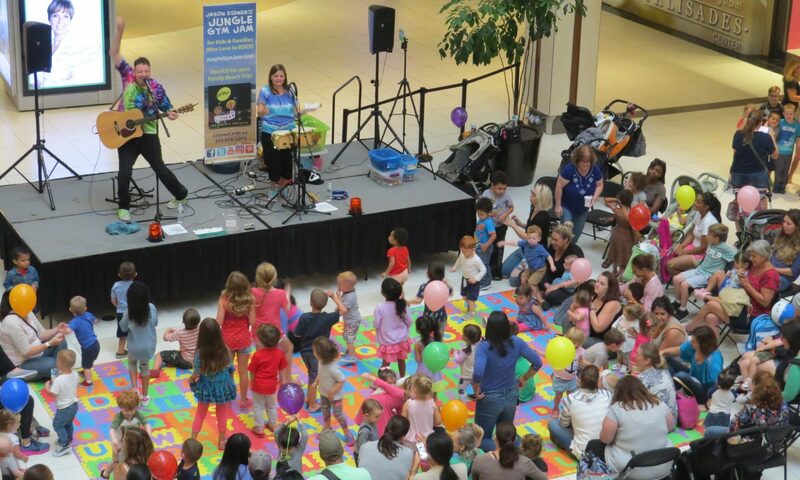 Jungle Gym Jam music is made for a truly interactive family experience – live in person, in online concerts, in videos and on record. The live show is where “Jersey Jason” and “Awesome Amy” really shine. They perform both as an acoustic duo and with a full electric band, depending on the needs of the venue and the audience. Freeze dancing, puppets, hand percussion instruments for the audience to try and humor are all elements in a Jungle Gym Jam show. These concerts have taken the Jungle Gym Jam on the road from their home in Montclair, New Jersey as far north as Massachusetts and as far south as Virginia since their founding in 2013. It’s not surprising that their main inspiration to make family music is their own daughter, now 6 years old. The Jungle Gym Jam’s New Jersey roots really show up in their musical influences; their sound and energy draw much inspiration from such Garden State legends as Bruce Springsteen and Southside Johnny. Not only do they love the sounds that come from the Jersey Shore, but also the family experiences you can have there. It’s that beach imagery that’s vivid throughout their second album Lollipop Motel. Their debut album Everyone’s Invited explored punk, reggae and jamband styles while engaging gentle messages encouraging kindness, inclusiveness and intellectual curiosity through their lyrics. The duo have been through a lot together. In 2015, complications from Amy’s diabetes led to the immediate need for a kidney transplant. Miraculously, Jason’s kidney was a match and he was selected as a living donor. The two entered the hospital for a successful surgery and they were back on the road entertaining families that summer. 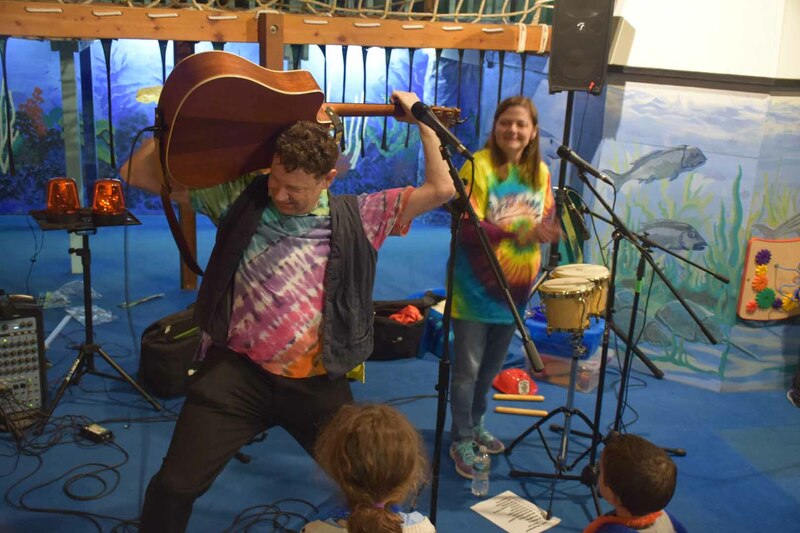 The full band version of the Jungle Gym Jam includes Jason’s friend of over 30 years – “Rockin’ Ross” Kantor on drums, versatile folk & blues singer “Cowgirl Casey” McCleary on harmonies, keyboard and guitar and and 14-year-old wiz-kid “Amazing Amelia” Chan on bass. Amelia had begun performing as a sub for “Charming Chip” Moore, who took on a traveling gig in the Middle East that turned into a multi-year engagement. She so impressed Jason and Amy with her musical talent and professionalism that you’ll see her regularly at Jungle Gym Jam shows for the foreseeable future. Jason shows his commitment to the children’s music community by speaking at the KindieComm conference to offer his insights as to what’s working in his career in family music and where he sees the industry changing. He also created a “Make Kindie Happen” podcast to help guide family-friendly artists in their creative pursuits.